The Wexford has evolved from 40 years' experience designing and producing quality Cane products. 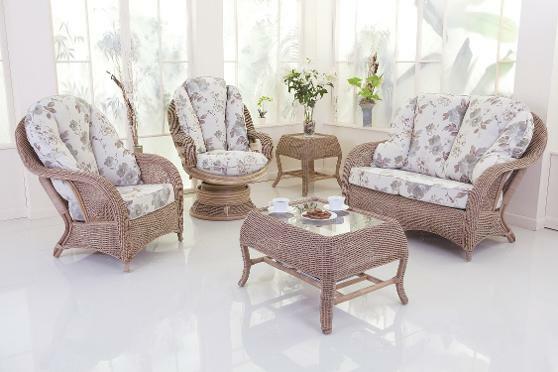 The elegance of this beautifully woven suite will totally enhance your relaxing experience. The range comprises of a chair, 2 and 2.5 seater sofas, and a swivel rocking chair along with coffee and side tables. These seating options are complimented by the culmination of many year's experience in cushion design within Daro's own production facility here in the UK. Cushions can be ordered using fabrics from Daro's comprehensive swatch. Shown in Natural Wash finish with Brooklyn fabric.